As the days begin to get longer and the weather becomes a little warmer, it’s exciting to think about Spring being just around the corner. With spring-time comes more adventure outdoors with our children. And also the beginning of another season – tick bite season. Pennsylvania leads the country in the most cases of confirmed Lyme disease every year. Westmoreland, Allegheny and Butler counties are among the top 10 counties in PA with Lyme disease incidence. Being vigilant about tick prevention and Lyme awareness is especially important in our area during this time of year. Good tick bite prevention and awareness of Lyme disease symptoms are key to keeping our kids as safe and as healthy as possible. Take the time to talk to your children about ticks and tick bite prevention. Check out this activity book for kids that may help. What you can do to protect yourself and your family? When playing outside, avoid tick prone areas as much as possible. Ticks love dense shrubbery and high grasses, however they can also be seen in backyard gardens and playgrounds, especially near wooded areas. When hiking in the woods, try to stay towards the center of the trails, and avoid brushing up against tall bushes and grasses. Keep your yard safe from ticks by removing old leaves, grass and brush from the yard, and keeping lawns trim. Make sure play areas are away from wooded borders and shrubs. When venturing outdoors, protect yourself and your family with good protective gear. Cover as much skin as possible, wearing long sleeves, long pants, and a hat. Tuck your shirt into your pants, and your pants into your socks to prevent ticks from climbing upward into clothing. Spray 20% or higher DEET (such as Deep Woods OFF) on skin and clothing to repel ticks. When applying to children, make sure to avoid the hands, eyes and mouth. Spray 0.5% Permethrin spray on shoes and clothing. This insect repellent continues to work even after several washings, and only needs to be applied every 3-4 weeks. Make tick checks a daily routine, especially after playing outside. After playing in a tick prone area, remove all clothing and put it in a hot dryer for 10 minutes. This will kill any insects that may be attached to clothing. Take a shower or bath as soon as possible after being outside. This will wash away any ticks that happen to be crawling on skin or hair that are not yet attached. When checking yourself and your kids for ticks, make sure to look in dark places where ticks love to hide: under arms, in and around the ears, belly button, groin, back or knees, scalp and in the hair. Remember deer ticks are very small. Adult ticks are about the size of an apple seed. Nymphs (most often seen in the spring) are the size of a poppy seed. Don’t forget to check your animals too! Dogs and outdoor cats can easily bring ticks into the home. Try to remove the tick as soon as possible. Transmission of Lyme disease is low if the tick is removed within the first 36 hours. First clean the area with rubbing alcohol. Then, using fine pointy tweezers, grasp the tick as close to the skins surface. Pull upward with steady, even pressure, until the tick releases. If you’re unable to remove the head completely, the rest of the tick will fall out as the skin heals. After removing the tick, dispose of it by flushing it down the sink or toilet. Then wash your hands and the tick bite site with soap and water. Check out this video for additional tips on how to remove a tick. If you’re not sure how long the tick has been attached, first remove the tick as soon as possible, then call our office. When a tick has been attached for longer than 36 hours, we may treat your child with a one-time preventative dose of Doxycycline. Research has shown that this preventative measure is 80% effective in reducing the transmission of Lyme disease. There is no need to save the tick for testing. These tests are often expensive and not recommended. How to monitor for Lyme disease after a tick bite. Start to monitor for symptoms of Lyme disease within the first week after a tick bite. Check the tick bite site daily for a rash. It is common to have a small red bump develop directly after removal of a tick. This is normal irritation from an insect bite, not an indicator of a Lyme disease rash, and will resolve in about 1-2 days. 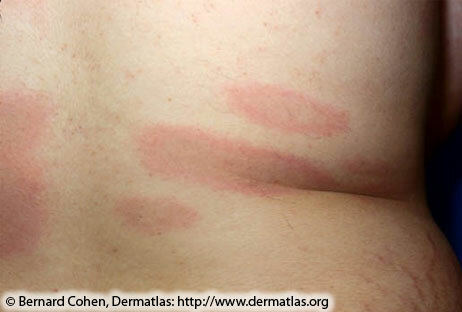 Erythema Migrans rash: This rash usually begins at the tick bite site. It is red, flat, and rarely itchy or painful. The rash will expand daily, and usually resembles a circular or oval shape. 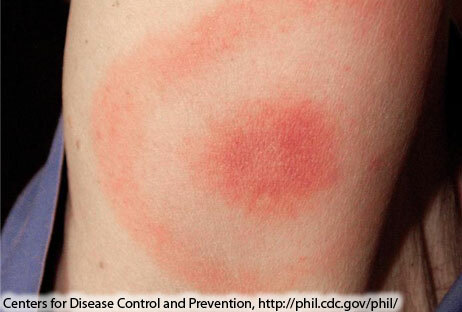 As it enlarges, the rash can clear in the center, which will give it a “bullseye” appearance. 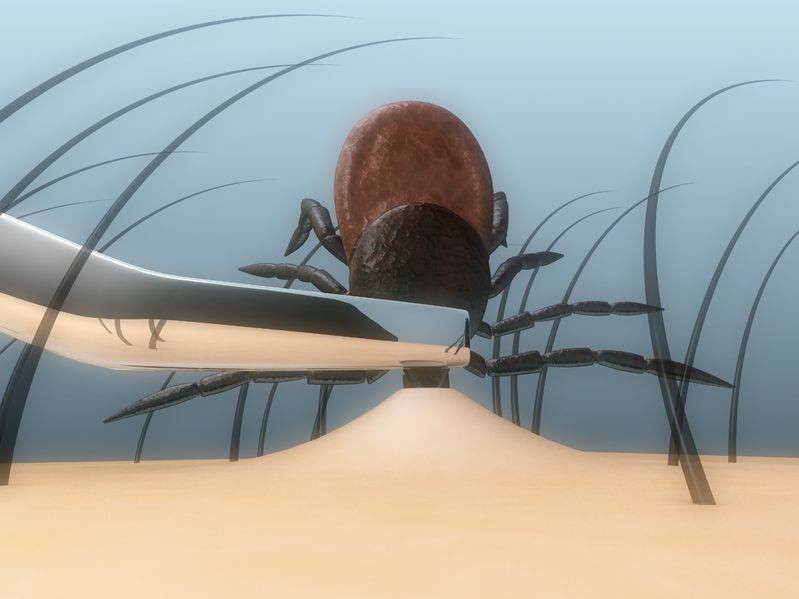 Symptoms of the later stages of Lyme disease can occur weeks to months after a tick bite. Joint pain, redness and swelling – especially the larger joints such as the knees. Arthritis pain can come and go in the later stages of the disease. Testing for Lyme disease is tricky. Within the first 4 weeks after exposure, there is high incidence of false negative tests. Most cases of Lyme disease are diagnosed and treated based on symptoms and do not require testing. Lyme disease is treated effectively with antibiotics – usually Amoxicillin or Doxycycline, depending on your child’s age. If treated in the early stages, a child with Lyme disease can recover quickly and completely. Treatment of Lyme disease in its later stages is still very effective, however symptoms may last a little longer after treatment as the body recovers. When to call us for help? If you find a tick on your child, try to remove it and then give us a call. 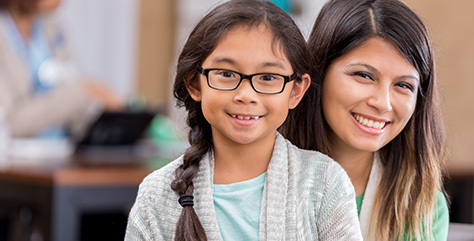 We can help you determine if any preventative treatment is needed, if your child needs to be seen in our office, or if you can monitor for symptoms at home. 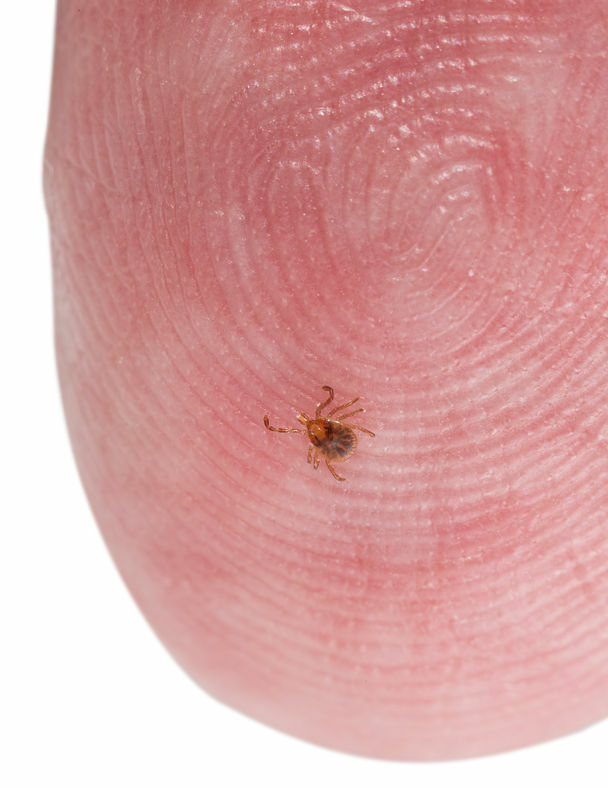 If you see any sign of a redness or rash forming at the site of a tick bite (after the initial irritation from an insect bite has resolved), then make an appointment with our office. We can assess your child and determine if she needs to be treated for Lyme disease. If at any time you are worried about your child showing signs of Lyme disease, please do not hesitate to call or make an appointment to discuss your concerns. If you have any questions, don’t hesitate to call. We are here to help!